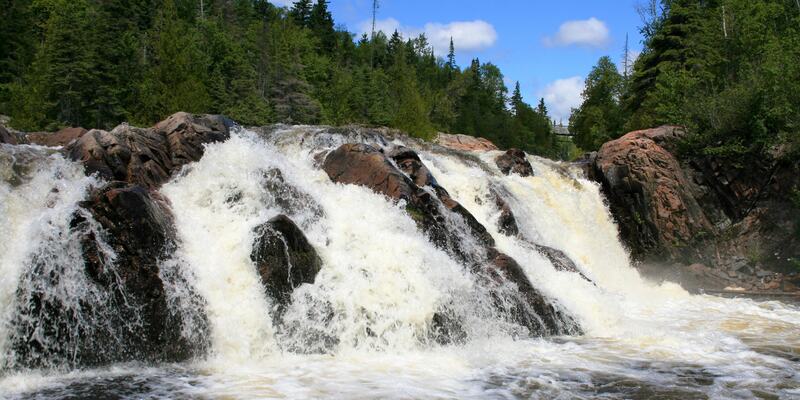 The Aguasabon Falls & Gorge is a stunning, must-see attraction in Terrace Bay and along Lake Superior. With a beautiful ferocity in the spring and a serene grace in the summer and fall, this spectacular 100 ft. waterfall cascades into the Aguasabon Gorge—flowing along a 2.6 billion year old rock face. 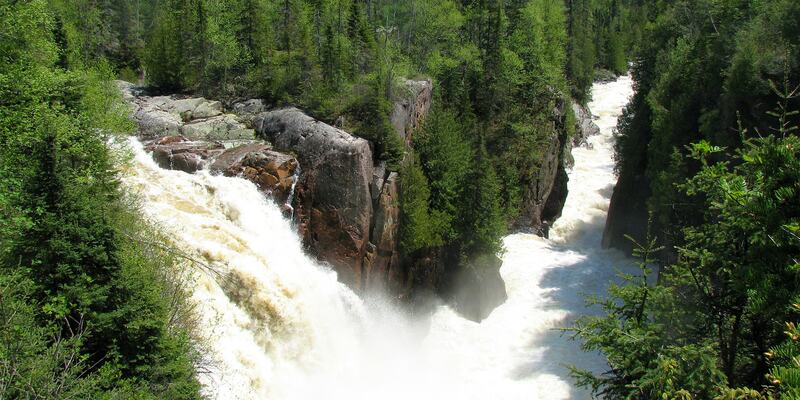 Come visit the Aguasabon Falls and experience the northern beauty of the Canadian wilderness at its finest! The Aguasabon Falls came to life in the late 1940s, through the Aguasabon Hydro Development that created a source of hydro-electric power to breathe life into the soon-to-be Township of Terrace Bay and the local pulp mill. The project established a dam at the north end of Long Lake to redirect water southward and away from Hudson Bay, where the water traditionally flowed. All this was done to ensure an ample supply of water would be available for the Aguasabon Generating Station—a massive undertaking, to say the least, and a significant achievement for Canadians. As a result of the diversion, Hays Lake (just North of Terrace Bay) enlarged to massive proportions and the spillway created the falls you see today. An even more interesting aftereffect, the diversion of water south, and away from Hudson Bay, raised water levels in Lake Superior and the rest of the Great Lakes of North America! As of today, the flow of water at the Aguasabon Falls is still managed by the Ontario Power Generation Company (OPG) and continues to produce Hydro-electric power for Terrace Bay and the pulp mill.